List of contraband goods in Nigeria 2018: Nigerian Customs Import Prohibition List - Law Firm in Nigeria - Lawyers in Nigeria. Lex Artifex LLP, law firm in Nigeria, has launched the Import & Export (I&E) Helpdesk to assist individuals and companies involved in the manufacturing, distribution, exportation and importation of consumer goods and products to meet the requirements set by Nigeria Customs Service, Standards Organization of Nigeria, and the National Agency for Food and Drug Administration and Control (“NAFDAC”). Below is the list of contraband goods in Nigeria. Pork, Beef – H.S. Codes 0201.1000 – 0204.5000, 0206.1000 – 0206.9000, 0210.1000 – 0210.2000. Refined Vegetable Oils and Fats – H.S. Code 1507.1000.00 – 1516.2000.29 [but excluding refined Linseed, Castor and Olive oils. Crude vegetable oil is however NOT banned from importation]. matter – H.S. Code 1701.91.1000 – 1701.99.9000 in retail packs. Cocoa Butter, Powder and Cakes – H.S. Codes 1802.00.0000 – 1803.20000, 1805.001000 – 1805.00.9000, 1806.10.0000 – 1806.20.0000 and 1804.00.0000. Spaghetti/Noodles – H.S. Codes 1902.1100 – 1902.30.0000. Bagged Cement – H.S. Code 2523.2900.22. Mosquito Repellant Coils – H.S. Code 3808.9110.91 (Mosquito Coils). Sanitary Wares of Plastics – H.S. Code 3922.1000 – 3922.9000 and Domestic Articles and Wares of Plastics H.S. Code 3924.1000 – 3924.9090.00 [but excluding Baby Feeding bottles 3924.9020.00] and flushing ceinstern and waterless toos toilets. Corrugated Paper and Paper Boards – H.S. Code 4808.1000, and cartons, boxes and cases made from corrugated paper and paper boards H.S. Code 4819.1000, Toilet paper, Cleaning or facial tissue – H.S. Code 4818.1000 – 4818.9000 excluding baby diapers and incotinent pads for adult use 4818.4000.41 and Exercise Books – H.S. Code 4820.2000. Hollow Glass Bottles of a capacity exceeding 150mls (0.15 litres) of all kinds used for packaging of beverages by breweries and other beverage and drink companies – H.S. Code 7010.9021.29 and 7010.9031.00. Used Compressors – H.S. Code 8414.3000, Used Air Conditioners – H.S. Codes 8415.1000.11 – 8415.9000.99 and Used Fridges/Freezers – H.S. Codes 8418.1000.11 – 8418.69.0000. Spirits totally unfit for use as portable spirits admitted to entry as such in the discretion by the Comptroller-General; and Whisky, i.e. a Spirit- Obtained by distillation from a mash or cereal grains saccharified by diastase of malt; and Stored in wood for a period of three years. Containing more than forty-eight and one-half per centum of pure alcohol by volume except denatured, medicated and perfumed spirits, and such other spirits which the Comptroller-General, in his discretion, may allow to be imported subject to such conditions as he may see fit to Impose. Weapons of any description which in the opinion of the Comptroller-General are designed for the discharge of any noxious liquid, gas or other similar substance and any ammunition containing or in the opinion of the Comptroller- General or adapted to contain any noxious liquid, gas or other similar substances. Lex Artifex LLP is the window for manufacturers, importers, exporters, and distributors of regulated products seeking licensing in Nigeria and access to the Nigerian market. 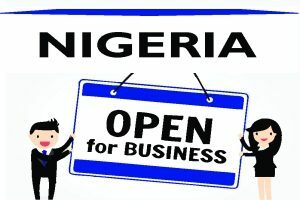 We are a one-stop shop for legal compliance and due diligence services in Nigeria. We provide clients with legal guidance through every step of the trade process and beyond. 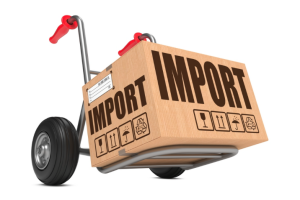 To learn more about the Lex Artifex LLP’s Import & Export (I&E) Helpdesk and how we can represent you in Nigeria, please email: lexartifexllp@lexartifexllp.com; call +234.803.979.5959.